Summer is all about relaxing, and your style should be no different. A pair of denim overalls is the epitome of relaxed summer style. Oversize or 70’s-style, it’s a go-to for a comfy and chic look. Its stylish cousin, the overall dress, has made quite a few appearances as well, but it’s not nearly as versatile if you like spontaneous summer romps like me. True to their name, you can throw overalls literally over anything: a bikini at the beach, a bandeau and heels for drinks, or even a sweater and booties to transition into fall. Fashionistas are all over the overall trend, and you should be too! I can always count on Who What Wear for some Sunday Style inspiration. Today’s breaking Style story: the adorably versatile overall dress I’m sighing for. 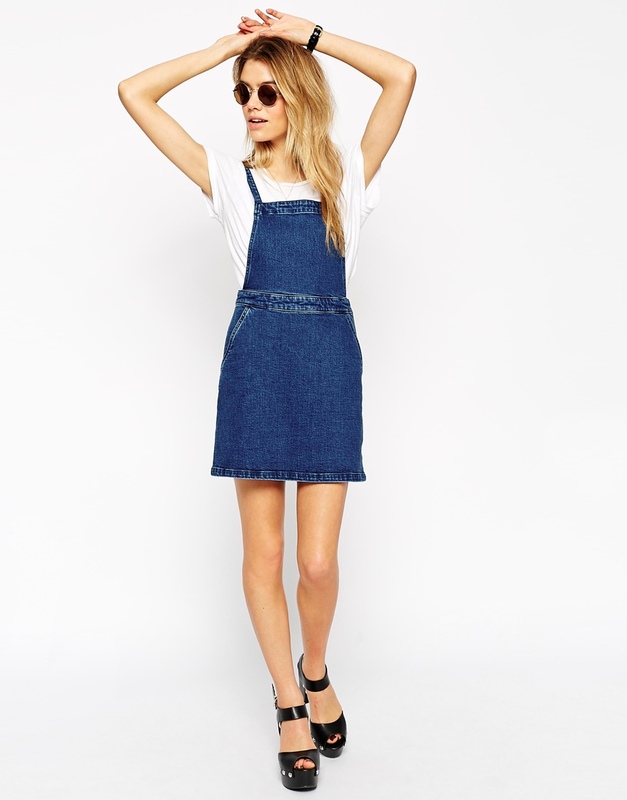 If you keep up with Trendy Tuesday, you’ll know this pinafore is not only adorable, it’s also right on trend. Though it’s hard to know how long trends may last, this piece has the advantage of working for more than one season. You can wear it with a simple tee and sandals in the spring and summer, and even keep the piece through fall by warming it up with leggings, boots, and a fitted turtleneck. With affordable options being offered by retailers like Asos and Topshop, there are endless opportunities to rock this too-cute trend.